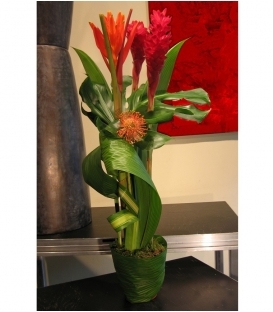 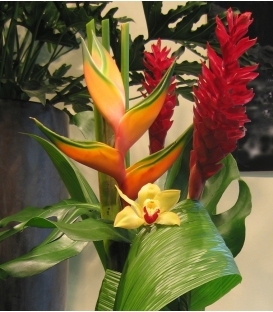 P1 Volcano Magnificent floral arrangement with exotic flowers from South America in warm red and orange tones. 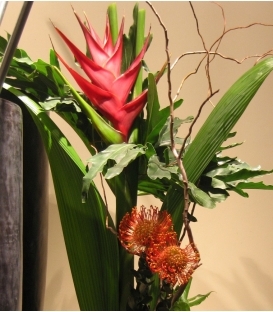 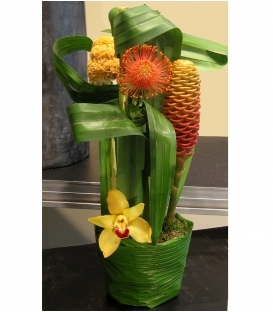 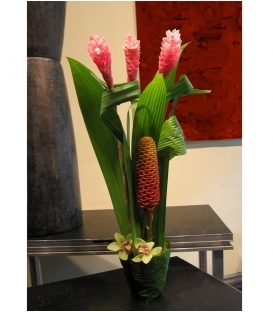 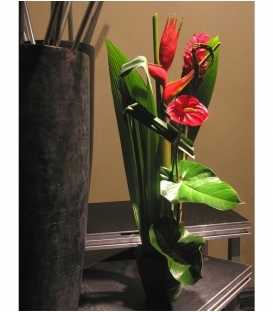 P12 Mink Floral arrangement with tropical flowers from South America. 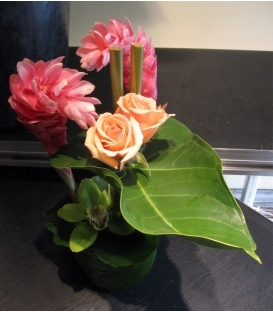 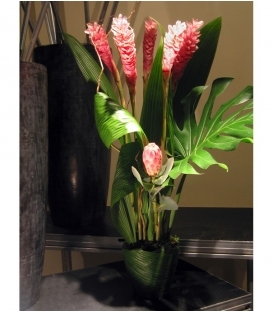 This tall arrangement is composed of pink gingers as well as a protea pink mink. 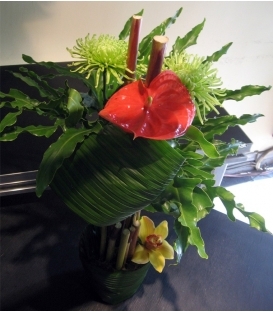 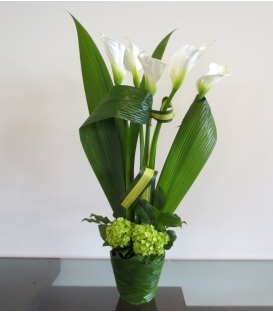 It is stylised with folded coco foliage and a giant monstera leaf. 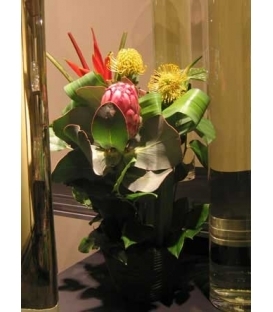 The flowers are inserted in a terracotta pot filled with humid floral foam wrapped with a coco leaf, giving it a tropical feel.